I am currently trying out the trial to see if I can use Lumion for my project. I really like the user friendlyness of the programme thus far! There is one thing I cannot get my head around. I am trying to make a mountain and have a small river flowing down to a flat area. However I cant find out how to do that. All I am getting is a stack of flat water'planes'. Is there any built in functionality for this, or must I draw a texture myself and put it on the mountain? 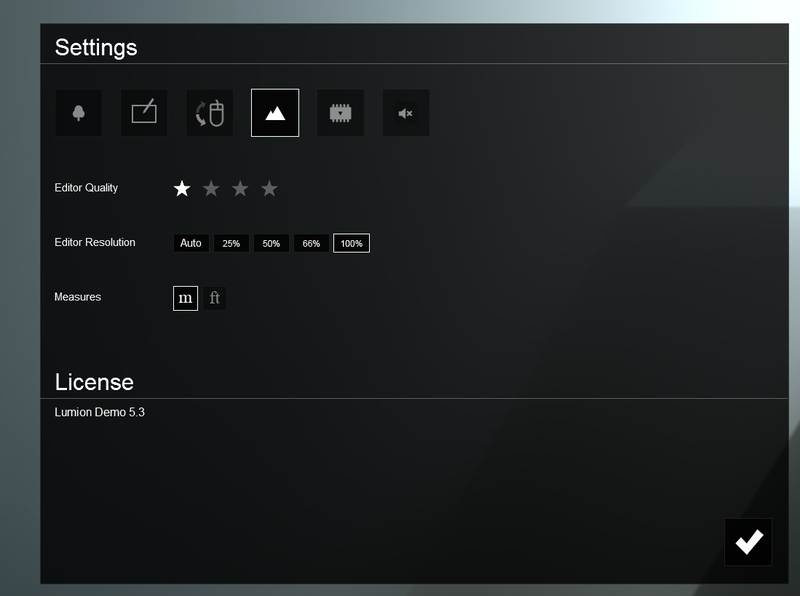 I am using the version offered at the 'Try' section of the website, the demo of 5.3 as I am currently evaluating the software. I cant seem to find an exact version number, but I assume its the latest 5.3. Hi Denizz, please click on the Gear button in the lower right corner and attach a screenshot of your Settings screen to your next post. Please also attach a screenshot of the scene in Build mode, so we know what kind of mountain and slope you're referring to. This is a screenshot of what I was trying to build. As you can see, I am now stacking waterplanes over each other, but that doesnt really work out. I want to have the water flowing down from a gradually smaller river to when the slope increases. 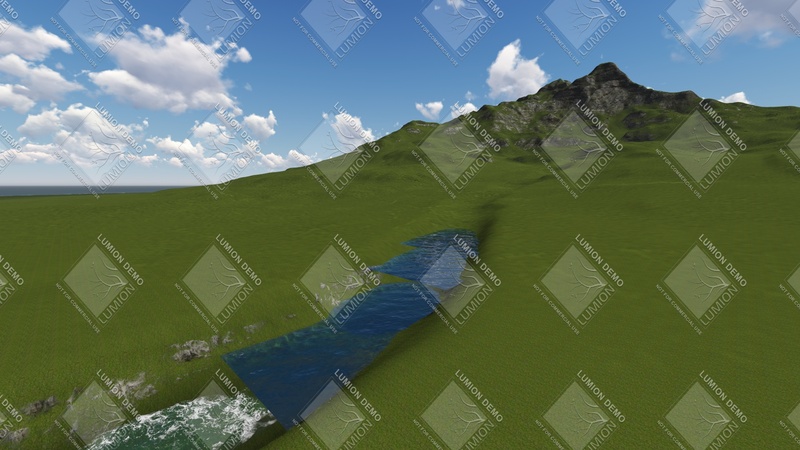 What you need to do is to create a model of the river in your CAD software, import that model, place it in the terrain and assign a Waterfall material to it.